The Tami Mechanical Robot Kit offers step-by-step instructions for kids to build twelve robots. 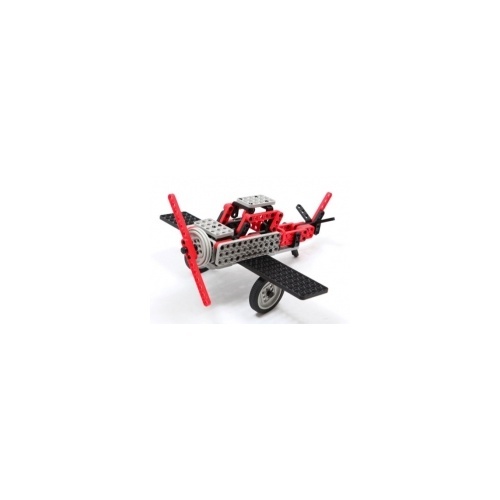 With detailed building and programming instructions, kids (and parents) are introduced to mechanical construction as they build pre-designed models that walk, crawl or roll. Once the basic concepts have been grasped kids can create their own models and robots; to solve a challenge, complete a task or just for fun! The kit comprises all you need including a comprehensive set of construction parts, motors, gears, wheels and battery pack. The kit also includes teaching resource and activity packs to aid teaching relating to construction, mechanics, gears, ratios, movement, solving engineering challenges and much more.